Could a tiny hand-held device really help us discover new species? DNA sequencing, a process that allows scientists to understand the genetic material of living organism, is normally a costly and cumbersome undertaking, restricted to laboratories. 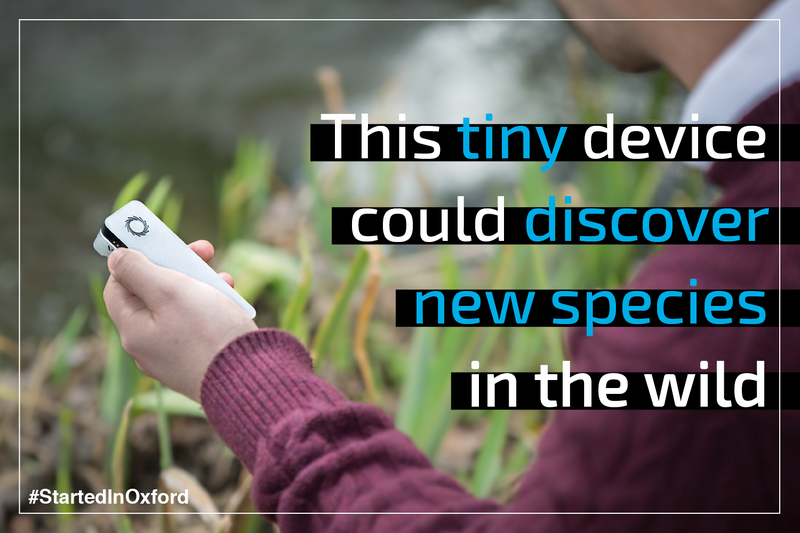 Researchers at Oxford Nanopore have created a revolutionary new technology that makes sequencing possible on-the-go, with a device smaller than a mobile phone, anywhere in the world – and maybe even beyond! The MinION passes an ionic current through tiny holes called nanopores. As DNA passes through these holes, tracking the changes in the current can then allow scientists to identify the DNA sequence. The world’s first portable device for the analysis of biological molecules, MinION just arrived at the International Space Station, where NASA astronaut Kate Rubins will perform the first DNA sequencing in microgravity. Down on earth, researchers have been tracking Zika in Brazil, Ebola in Guinea, monitoring lakes in Australia, plants on mountains and even recognising signs that bacteria are resistant to antibiotics.